Step 1: Put a teaspoon of caviar on the back of your hand. Step 2: Cleanse your palate with vodka, dry champagne or sparkling water. Step 3: Put the caviar on your tongue and hold it there. Let the eggs melt in your mouth and then slowly crush them. Enjoy the flavour as it develops. Step 4: Cleanse palate with vodka. 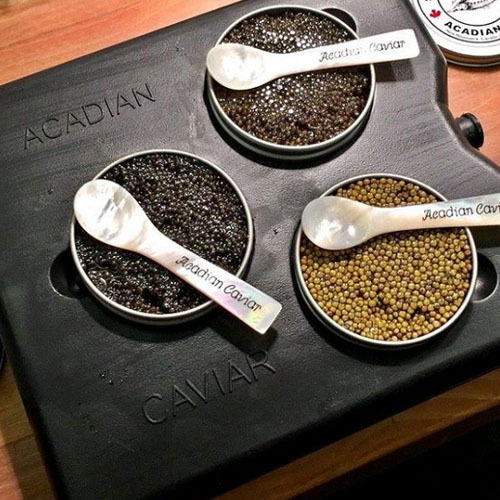 Caviar can be enjoyed as a treat instead of a luxury. A teaspoon is comparable in price to your favourite cocktail. I know I'll be eating more caviar!